Internet: I love the fall. I love it. I love everything about it—the clothing, colors, smells, foods, everything. This recipe screams fall to me. These muffins aren’t particularly healthy. If you want healthy, try this recipe from last week. But these muffins are awesome, in my opinion. And your house will smell amazing. 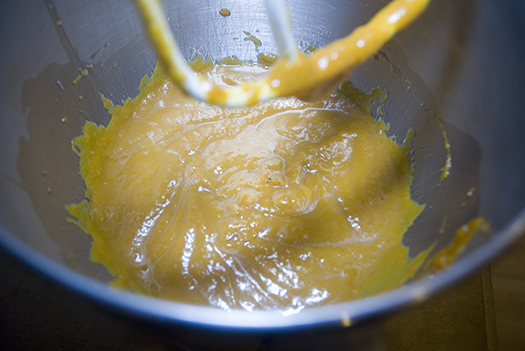 Mix pumpkin, eggs and oil in mixer. 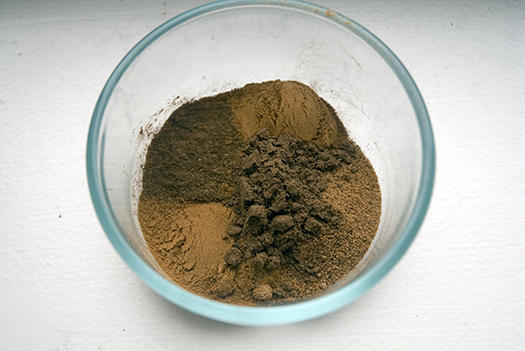 In another bowl combine flour, sugar, salt, baking powder, baking soda and spices. Add that to the pumpkin mixture. Stir it up for a few rotations then add the (optional) raisins. 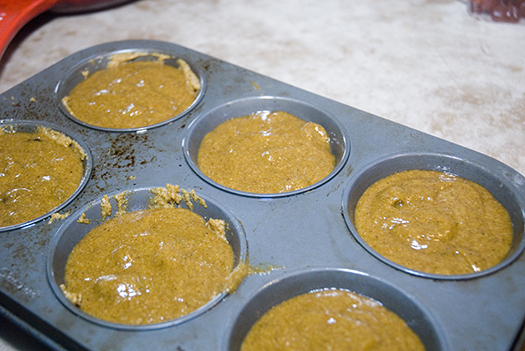 Fill muffin tins about 2/3 full.You should get an easy 12 large muffins from this recipe. I actually had some left over! I bet you can just dump everything into the mixer instead of messing up another bowl. I can’t imagine why it would be a problem. See the comments section, might not be a good idea. I had a little trouble getting my muffins out of the pan last night, so if you have the liners, I might suggest using them to line the tins. I don’t like doing this because it seems wasteful if I don’t need them. But these babies did NOT want to let up. However, it’s important to add, I did not have any trouble in the past getting them free. I have no idea why last night posed such a problem. Anyway… make a note of it. Another way around the possible sticky factor (which, remember, only happened to me once) might be to lightly dust the oiled tins with flour. Up to you! Feel free to use an actual pumpkin. If you do, grab a small sugar pumpkin. You might omit the raisins or add in some nuts. It’s very versatile. Also, if you want it to be healthier, replace the oil with apple sauce and use egg whites instead of whole eggs. You can literally cut the sugar in half—or down by even more. 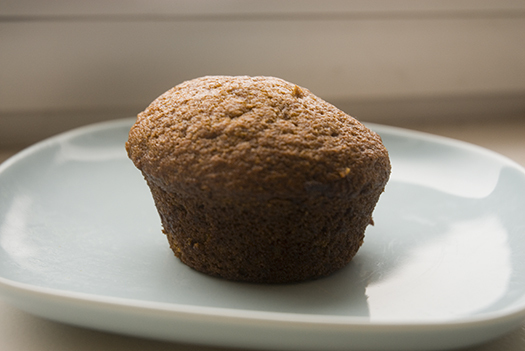 The way I came up with the healthier version to these muffins was by forgetting the sugar all together. My husband loved it. I wasn’t too crazy about it. To each their own taste! But, yeah, cut the sugar down by however much you want. Really! 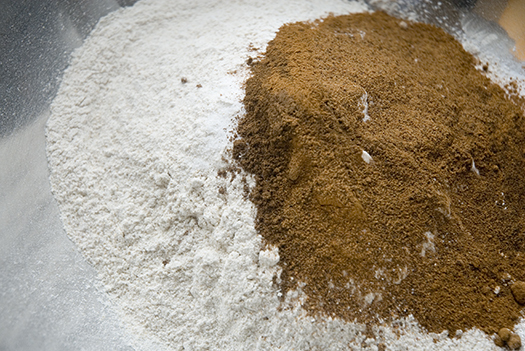 Also, you can add one cup whole wheat flour to 2 cups all-purpose. I used pastry flour yesterday because I needed to clear out space in the refrigerator. But all-purpose works awesome as well. Again, hit me up with suggestions or questions! Next Post On Leaving New York. I for one LOVE your “mom it down” series even though I am not a mom. Specially muffins and used to make them weekly. That is until I realized no more gluten for me, and I haven’t been able to find a gluten-free flour I like. I started to use silicone baking cups (similar to these: http://www.amazon.com/gp/product/B001ET7B9E) when I was making muffins every week and didn’t want to be wasteful with the paper liners. My only issue using the silicone cups is it can be a little tedious washing them. The only issue with putting everything in the mixer all at once is the batter might become overmixed, and they won’t rise as well, or will be kind of tough. Or at least that’s what my high school Home Ec teacher taught us! Must use the “muffin method” when making muffins…. or pancakes! Good point. Going to fix that by crossing it out and sending it to your comment, Wendy. Those sound really yummy! I think they’ll be the perfect thing since fall is here. Clearly the reason they aren’t very healthy is that you forgot the mini chocolate chips. Also, I generally always make mini sized muffins to cut calories per serving and for ease of freezing and then thawing in the microwave. Yay for pumpkin season! I made these last night with dried cranberries (because that’s what I had) instead of raisins. They were great and totally tasted like Thanksgiving. Thanks! Joanie! So awesome. Funny you used cranberries. I walked up to Toby on Saturday and said, “Cranberries or Raisins?” and he said raisins. I so wanted to try cranberries! I thought it might taste good that way. Nice to hear it did!! I bet you could replace the oil with some amount of Sour Cream ( or Yogurt ) too. Jon – sour cream and cranberries sounds really interesting. Maybe lower the nutmeg and crank up the orange zest?